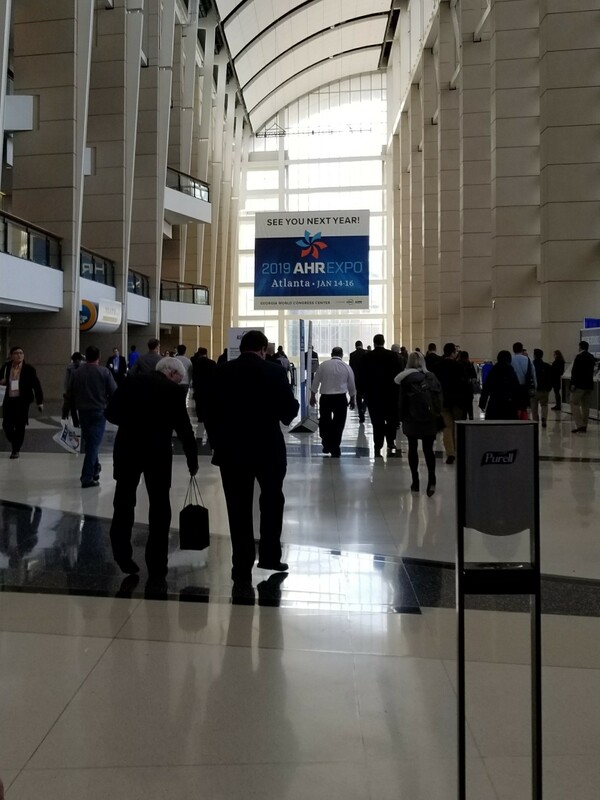 Despite the fog’s best efforts (diverting my schedule three hours by car outside of Chicago), I made it to the 2018 ASHRAE Expo. 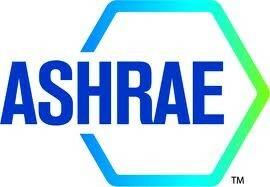 For those who don’t know what the ASHRAE Expo is, you can think of it like a Comic-Con, but for Heating Ventilation and Air Conditioning (HVAC). 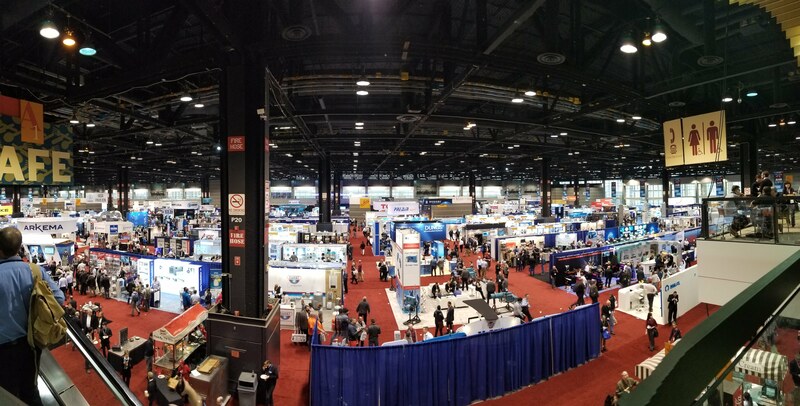 There is a huge exposition where products are shown off and the latest in energy efficiency technology is pandered off in a bazaar filled with old friends from across this global industry. That last bullet, “what we don’t know,” is probably one of the most exciting areas. There were numerous examples of how engineers recently made unexpected discoveries by recording and analyzing data. In one example, sensors were installed in an urban area to alert first responders when movement patterns associated with panicking were detected. Unexpectedly, this data unearthed a correlation between a specific movement pattern and pickpocketing occurrences, and they were then able to use that knowledge to minimize pickpocketing in the area. What an amazing, unknown benefit nobody could’ve predicted! Imagine what today’s building data will allow us to discover about our buildings tomorrow. We often find that control systems are installed with minimal trending. Design engineers will specify either a point list or the points in a matrix that receive historical trending. This is an area where drastic improvement is needed. We can simplify this for design engineers and controls contractors all around. Instead of requiring a list of points (as specified) to be trended, we should require that all variables, setpoints, and input/output (I/O) points be historically trended. The trend data should never be overwritten, and the number of records for all the points collectively should only be limited by the hard drive. Simply put, the only time data should be removed from the trend database is to make space on the server. However, even this will be a rare occurrence as modern hard drives standardize terabyte storage capacities, despite HVAC data remaining the same size with the same overhead. 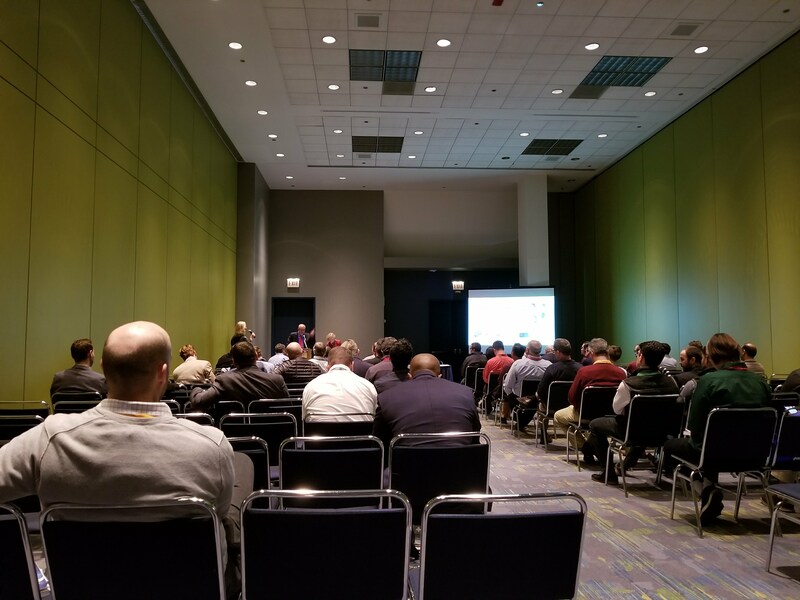 I walked around the expo after attending these sessions, making sure to troll (as in casting a wide net, not picking a fight on the internet) the entire building automation section of the expo. I talked to new controls manufacturers, old manufacturers with new products, international controls manufacturers, and everything in between. At each booth, I noticed that the current trend is to include SD cards in modern field controllers. This is fantastic because each controller then has gigabytes of storage onboard, thus decentralizing the storage of this invaluable resource and increasing the likelihood of it existing in a new building. However, even with this new capacity, I couldn’t find one controls manufacturer that defaulted all points to include trending. This means that they’re still expecting their dealer network to manually enable the trending based on the engineer’s specifications. The bottom line is that the data generated by a control system is far more valuable over the life of the building than the first cost of the control system itself. If you’re a building owner, this is an asset your building generates and you should ensure that you get the maximum amount of that asset the system allows. If you’re an engineer, simply enhance your specification with verbiage stating, “all points must be trended and stored subject only to the size of the storage device.” If you’re a commissioning provider, please spread this message to those in your area. Moving forward, let’s work together to generate this data for the sake of energy efficiency projects that could uncover valuable information for us all.